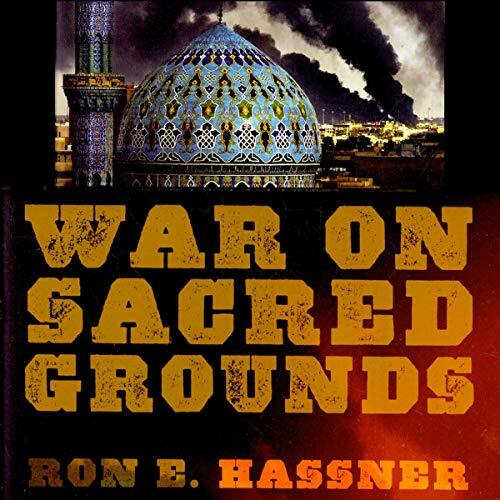 In War on Sacred Grounds, Ron E. Hassner investigates the causes and properties of conflicts over sites that are both venerated and contested; he also proposes potential means for managing these disputes. Sacred sites, he contends, are particularly prone to conflict because they provide valuable resources for both religious and political actors yet cannot be divided. The book is published by Cornell University Press. The audiobook will be published by University Press Audiobooks. A Choice Magazine "Outstanding Academic Title"
'War on Sacred Grounds' is a very dense and detailed look at fights over sacred sights. It is not about religious wars (such as the crusades) but is about the battles and wars fought over specific locations; locations considered to be important to the religion. Hassner sets up the book by detailing what exactly is a sacred space, and how that changes and (often) grows over time. He looks at what defines a sacred space and why it is important, with criteria such as the space being indivisible – it cannot be split and shared, for various religious reasons. Reasons with then become political reasons and grow well beyond the original conflict. For example the sacred space of the temple mount in Jerusalem grows over time and the importance and the fight stops being about that one individual spot but becomes about the whole city. The entirety of Jerusalem becomes a de facto sacred space in the eyes of the religions that are fighting over it. The political and the religious become inexplicably entwined. The entire book looks at the issue through the lens of three contrasting, but not contradictory, ideas: materialist (looking at the political ramifications of bargaining over an indivisible space), interpretist (looking at the significance of the space to the believers) and constructivist (the role of leaders in shaping these spaces). Hassner goes through two big case studies showing where there was some level of successful conflict management - Jerusalem in 1967 and Mecca in 1979. He goes through the history of the event, in a detailed and entertaining way. Meccas in 1979 was particularly engaging to me, as it was one that I knew very little about at all and provided great insight into the various groups and sects within Islam and the region. While Islam forbids any violence within the Grand Mosque, an Imam was able change and shape the rules of the religion to allow for the standoff to end. While it was a violent end, Hassner explains how it can still be seen a successful resolution in some ways. These subjects addressed in my review only barely touches on much of the content here. It is a dense book, but well worth taking the time to go through it. Is it perfect? No. Buut any issue with it I found to be minor in comparison to the depth of knowledge and insight provided. Narration by Charles Henderson Norman took a little bit to get used to. Initially he reminded me of an old timey radio presenter, but once I got used to it I really enjoyed it. He is a little quicker paced than most narrators, which combined with the density of the book, meant I had to slow it down slightly from my normal pace. Over all he is clear and engaged with the text and enjoyable to listen to.